One of the great benefits of turning age 65 is the opportunity to enroll in Medicare. This can be one of the best medical and financial and medical opportunities one could experience, or it could become somewhat of a nightmare. The purpose of this paper is to help you avoid the most common mistakes one can make in enrolling in Medicare. The rules and opportunities for Medicare can be confusing. When you approach the age of 65 a process begins to flood your mailbox with solicitations from insurance companies regarding Medicare and the “things” you need to know. You also may begin to get phone and internet solicitations. While this information is well intended it also can be very confusing. Many people simply ignore the solicitations or react to a “buzz” word or a classy looking brochure. To avoid mistake # 1, make the effort and take the time to educate yourself. At the Medigap Pro, we believe if you pursue the below you will develop the knowledge to assist you in making the best decisions for you individually regarding Medicare. 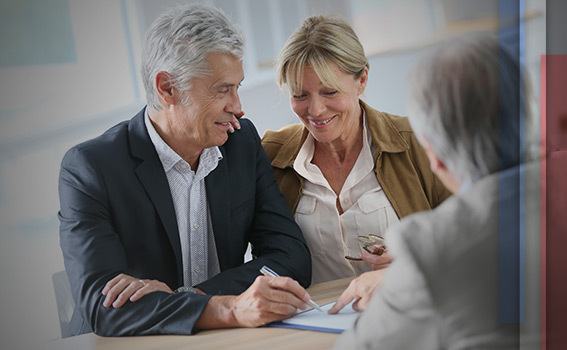 Connect with an experienced and respected independent Medicare insurance broker. An experienced broker will have the knowledge to assist you in understanding Original Medicare. They will teach you the parts of Medicare (A<B &D) as well as what Medicare Supplements and Medicare Advantage plans can do for you. Choose a broker that represents numerous companies and has a proven reputation in assisting individuals with the Medicare process. The federal government provides an excellent tool in www.medicare.gov. The site. www.medicare.gov, is basically the governing authority for information about Medicare. The site is designed to give you the information you need to know regarding Medicare. We suggest you first spend time under the header, “Sign Up and Change Plans”. This page speaks to seven steps you can take to have a better understanding of Medicare. Mistake #2 – Not knowing the important dates of Medicare. You need to know when you can enroll in Medicare Part A and B as well as when you can enroll in a Medicare Supplement. Not knowing these dates will compromise your health coverage. You may enroll in Medicare three months prior to the month you turn age 65, the month you turn age 65 and up to 3 months after you turn age 65. If you do not enroll when you are first eligible, you may have to pay a Part B late enrollment penalty and you may experience a gap in coverage if you decide you want Part B later. When you enroll in Medicare Part A and Part B you will find as in traditional health insurance, Medicare does not over 100% of the cost of your healthcare. To cover all or most of what Medicare does not pay individuals many times choose to purchase a Medicare Supplement or Medigap plan. These plans are available to you up to six months after you turn age 65. If you attempt to enroll in a plan after six months from turning 65 you may not be able to as the plans are medically underwritten. You may not qualify medically for a plan. You must elect to enroll in Medicare. In some cases, you may be automatically enrolled in Medicare Part A. However, you always must elect Part A and Part D. Medicare does not automatically enroll you. You must either go to your local Social Security office, go to www.medicare.gov or call Medicare to enroll. In certain cases, you may enroll later. Such a case would be you are insured in a group health insurance plan. Failure to enroll when you are eligible may mean you will not have medical coverage and you may pay financial penalties when you choose to enroll. In summary please take the time to learn about Medicare coverage and the many opportunities it will afford you. In most cases individuals see their health insurance cost go down tremendously and their benefits enhanced. If you avoid the three mistakes, we have written of you will be well on your way to getting the most out of Medicare. If we can assist you in the Medicare process, please do not hesitate to contact us at ted@tedguy.com or call 1-800-535-8016.